It’s been a while since the first time I heard about this book from itswaypastmybedtime (aka Carrie Hope Fletcher) in youtube. Seeing that she liked it, I decided that maybe I should give reading this book a shot. Apparently, since they don’t sell it here in this side of the world, I resulted to downloading it on an ebook despite the fact ebooks and me aren’t really a good mix. This isn’t the first book review in this blog. I had reviewed Anna Dressed in Blood here last time and that was ages ago. I don’t usually blog about the books I read but it seems like this is a good place to start. 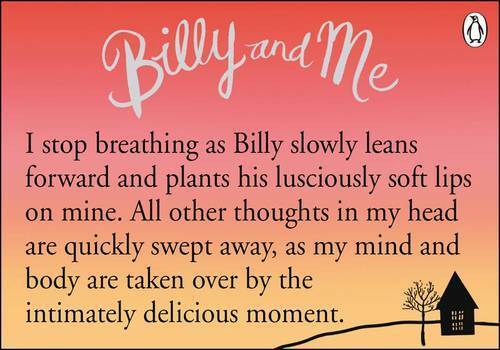 Billy and Me’s story revolves around Sophie May’s life after getting tossed into her new boyfriend, Billy Buskin’s topsy-turvy celebrity life. It mainly consists of the thoughts in her mind during the various events where she is pulled into a position wherein she may be judged or looked upon by the people surrounding Billy’s career— and that meant the whole world actually, because he’s a rising star. I have to be honest that although the book was well written, it had its downside. I like and dislike it. I LIKE IT: It’s good to see Sophie’s character development through the book. It ended with a changed Sophie, and I think that’s what was important about the story throughout. She allowed Billy to shake her world, and she let that shaking become the one to help her fight her own demons. The romance between Billy and Sophie seemed like only the second element in this book. 1. BILLY BUSKIN. How can one guy feel so personality-less. I understand he’s a good guy but I think he was just there to drag Sophie to his world, make her stressed, hush her, etc etc. If there was a personality written for this guy, I must have missed it. 2. THE IMPACT OF THE STORY, OF ANY EVENTS. I totally missed any strong points of the book. It wasn’t simply moving. What I really look for in a book is how the whole thing would make an impact on me, but seeing that this book wasn’t able to do that, I guess it’s not something I would want to read one more time. Overall, Billy and Me was written with sprinkles on top, with character’s personality development being the actual star of the show, however the show wholly lacked points in which you would enjoy it. Meanwhile, this is an honest review of mine. Please don’t kill me.